Attractive silver trophy cup with ornate handles and bright polished finish. 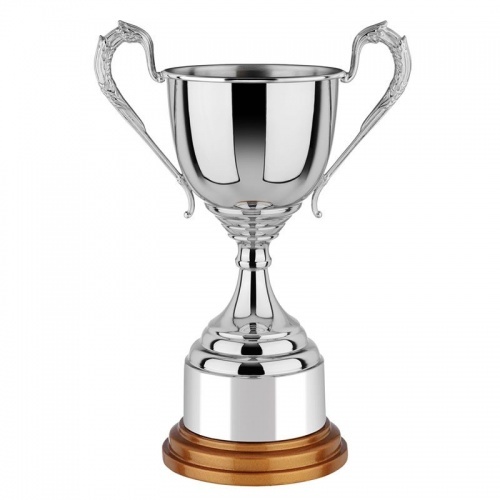 These trophies are mounted on a circular gold finish wooden base with plinthband, and can be engraved on both the cup body and/or plinthband. Available in three sizes.